There are academic, enrichment, community service, and discipline requirements that all students must complete in order to graduate from Legal Prep. At Legal Prep, each year-long course is equal to one unit and each semester course is worth one half unit. Students take classes totaling 7.5 units each year and must earn at least 28 units to graduate. Any student that misses or fails to receive a credit during the school year and still wishes to be promoted to the next grade will be required to make up missing credits during summer school. 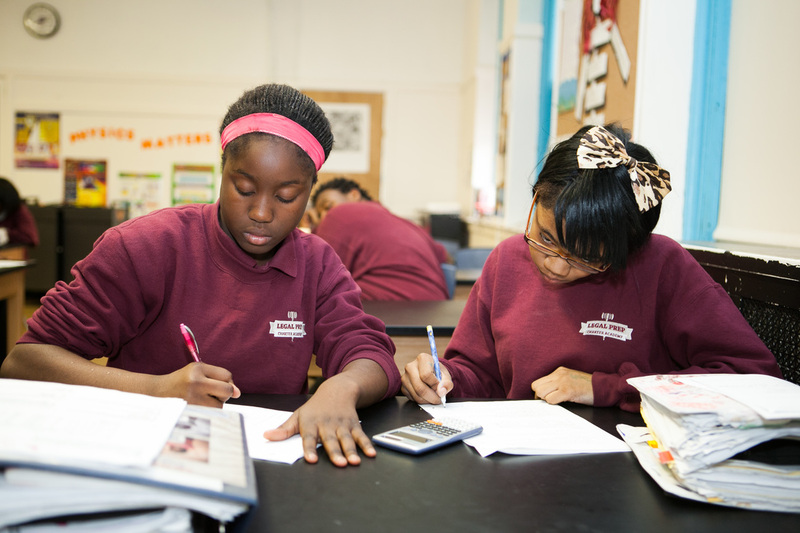 Students complete an array of courses during their tenure at Legal Prep Charter Academy including law themed courses as well as traditional core subjects in the arts, sciences, and liberal arts. Please see the course progression below for a more detailed view of available courses.